4.It contains 3 working position and can form 3 bellows simultaneously. 5.It can form multiple layers of bellow. 6.Press one button, bellow will be done automatically, easy and fast. 7.It can calculate the pipe length for forming automatically. 3.HMI touching screen to input data. 4.It can form multiple layers of bellow. 5.Press one button, bellow will be done automatically, easy and fast. 6. It can calculate the pipe length for forming automatically. 1. Rectangular corner bellow bending machine is used to bend square bellow corner. 2. Its mold is designable with below reference. 1. 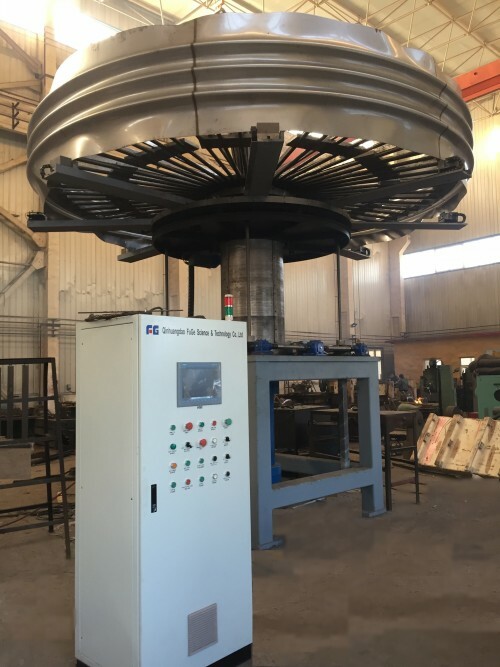 Tube expander can expand the cuff of the bellows for flange installation. 2. The step height of the tube expander is designed by special requirement. 3. It’s installed with Siemens system to control the expanding stroke of the steps. 4. The machine is powerful enough to expand very thick bellows. 2.It can form multiple corrugation per time, and is highly productive to form the short hose. 3. Machine capacity is designable. 2.Spring bellow forming machine is used for making highly precise bellows, fast and easy. 2.Re-rolling machine is used to modify the bellow’s shape. 3.It can improve the flexibility and quality by increasing the height and narrow the pitch. 4.The re-rolling machine is installed with Siemens system. 6.It can find the correct position and complete the re-rolling automatically. It can improve the flexibility and quality by increasing the height and narrow the pitch. The re-rolling machine is installed with Siemens system. it can find the correct position and complete the re-rolling automatically. 3.Continuous annular hose forming machine includes 2 parts: pipe welding & hose forming. Insert the stainless steel sheet into the machine, it can form the required hose directly. 4.The hose length is unlimited because of the continuity of the machine. 5. Easy operated, but highly productive with more than 50 meters per hour. 2.The specification can be designed by special requirement. 3.Machine is equipped with length-counting and cutting device for producing precise corrugated part and cuff as requested. 4.The sprinkler hose is mainly used in firefighting area. 5.Foot pedal control to activate the finger clamping. FUGE uses a special method to form multi-ply rectangular expansion joint. 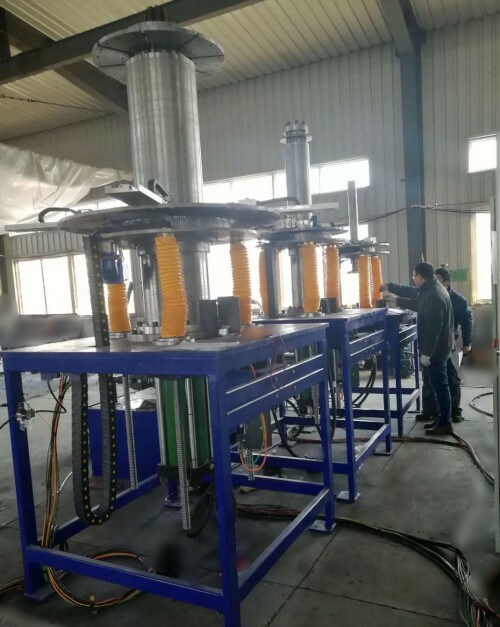 Different from the traditional method of welding bended corners, the new machine make the corrugation out of the welded tube directly, only leaves one weld seams on the unsignificant straight area. Such expansion joints are mostly used in the nuclear power plant and thermal plant requiring high compression resistance and long lifespan..For the rectangular expansion joints, the corner area suffers more pressure, the weld seams will be the weakage of the whole expansion joins.Our new machine overcomes the ply limitx and avoidsmulti-ply corners' wrinkle during the corner bending. Our products just meet all requirement.